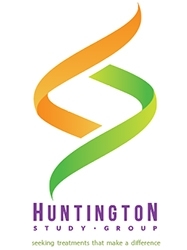 Rochester, NY, March 25, 2019 --(PR.com)-- The Huntington Study Group (HSG), a world leader in spearheading research and conducting clinical trials in Huntington disease (HD), is excited to announce that it has credentialed Inland Northwest Research, LLC as the 100th HSG site in North America. Founded in 1993 in Rochester, NY, the Huntington Study Group (HSG) is a not-for-profit organization comprised of the world’s first and largest collaborative network of experts in Huntington disease. The mission of the HSG is seeking treatments that make a difference for those affected by HD. With more than 650 credentialed HD experts at 122 HSG credentialed research sites worldwide, the HSG is a leader in conducting clinical trials for HD. The HSG also offers educational services like CME4HD™ for healthcare professionals and care providers on treating patients with HD. For more information, visit our website www.huntingtonstudygroup.org.